Please join CANDLES and Eva Kor for an unforgettable trip to Auschwitz. For those booking the "land" trip package: Please do not purchase any flights until AFTER you have submitted your registration materials, deposit, and you have received an email confirmation of your registration from CANDLES. January 27th, 2020 marks the 75th anniversary of the liberation of Auschwitz. Join CANDLES Holocaust Museum and Education Center for an extraordinary experience as we travel to Auschwitz with survivor Eva Mozes Kor for the commemoration of the anniversary. In 2015, nearly 300 survivors from Poland and across the world attended the commemoration event. More than 50 leaders of countries and international organizations listened to the words of the witnesses. The Auschwitz Museum hopes to see many survivors and prisoners return for the 75th anniversary. 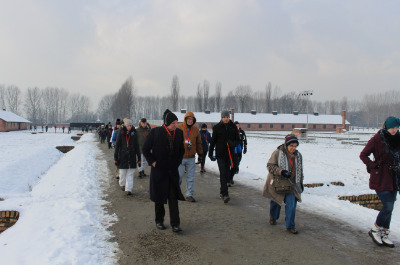 In addition to participating in ceremonies by the Auschwitz Museum, trip participants will learn about the history of the camps from museum guides. 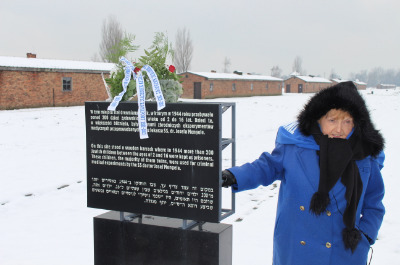 We will also walk in the footsteps of Eva, hearing her firsthand account of her arrival at Auschwitz, separation from her family, experimentation by Nazi doctor Josef Mengele, the struggle for survival, and her and her twin sister Miriam’s liberation by the Soviet Army on January 27, 1945. CANDLES offers limited scholarship opportunities to educators who may need financial assistance. The purpose of the scholarship is to assist people in helping area youth and their communities learn about the Holocaust and develop ideas to prevent prejudice, hatred, and violence. If you have any questions, please contact us at trips@candlesholocaustmuseum.org or call 812.234.7881. We hope you will consider joining us for a meaningful and enlightening experience. Trip insurance is highly recommended for your own protection and will not be provided unless you select the option for your age group. Trip insurance does not cover situations of political unrest or your cancellation due to unease with travel warnings. You must pay your non-refundable insurance premium in full, in addition to your $600 non-refundable deposit. The insurance will cover your deposited amount. If you choose to decline optional insurance coverage and experience any medical situation or situation that would have otherwise been covered by the insurance, these expenses will be your responsibility to pay out-of-pocket and are not eligible for reimbursement. If you add additional items to your trip package that increase your total cost to more than $4,000 (i.e. a single room supplement and/or more expensive flight arrangements for land travelers​​​​​​​), then your overall trip value may move up to the next cost tier. Rate schedules and description of coverages for those living in New York, Kansas, Montana, Washington State, or Maryland can be found on the CANDLES website (in the trips section). Group travel insurance is not available to those living in Pennsylvania, but you may purchase insurance outside the group. Please call the agent as indicated in the document on the CANDLES website for those rates and to purchase. Prices quoted within the Summary of Services are intended for those purchasing a “complete” trip package who do not reside in New York, Montana, Kansas, Washington State, Pennsylvania, or Maryland, and whose trip package does not exceed the maximum insured value of $4,000. Those purchasing the “land” trip package should add the trip package cost to their independent airline accommodations cost in order to secure the appropriate rate within your age group for the total cost of the trip. If the total of your air accommodations + the “land” trip package is more than $4,000, then you will move up to the next cost tier in your age bracket. 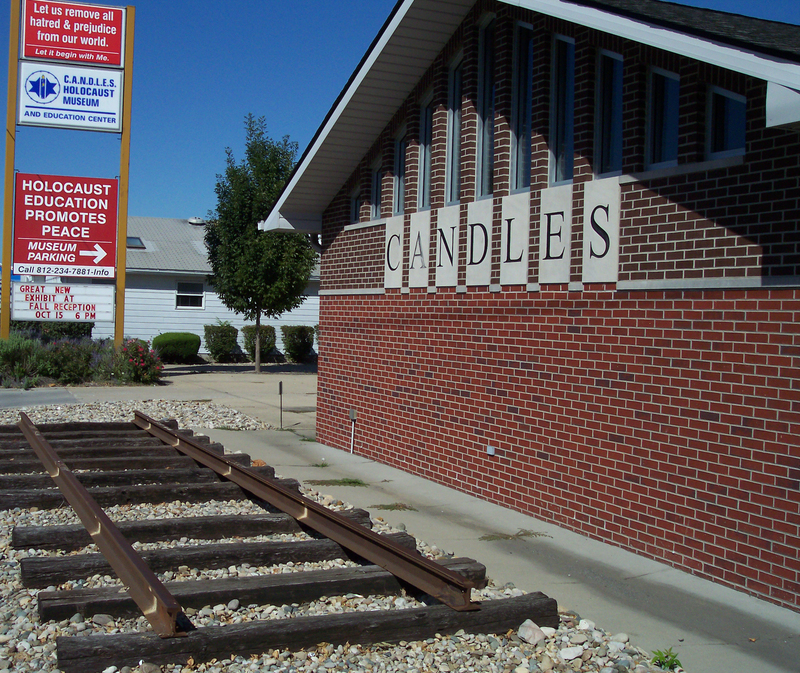 In the event of trip cancellation, CANDLES Holocaust Museum does not in any way guarantee that your reason for cancellation will automatically be covered by trip insurance. Travel Guard, Inc. is an organization independent from CANDLES. You should always direct questions regarding specifics of coverage or its limitations to them. Please read the insurance document below that applies to your state.